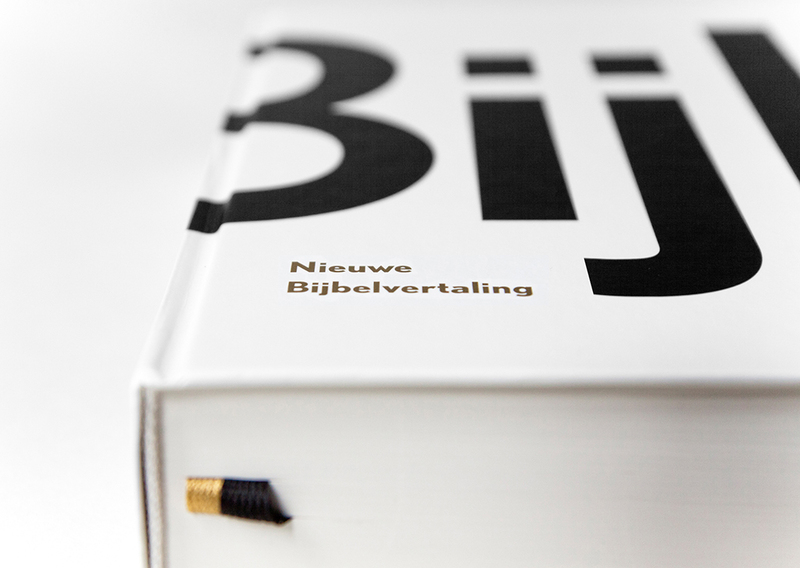 De Nieuwe Bijbelvertaling (The New Bible Translation) is currently the most widely used Bible translation in the Dutch language area. 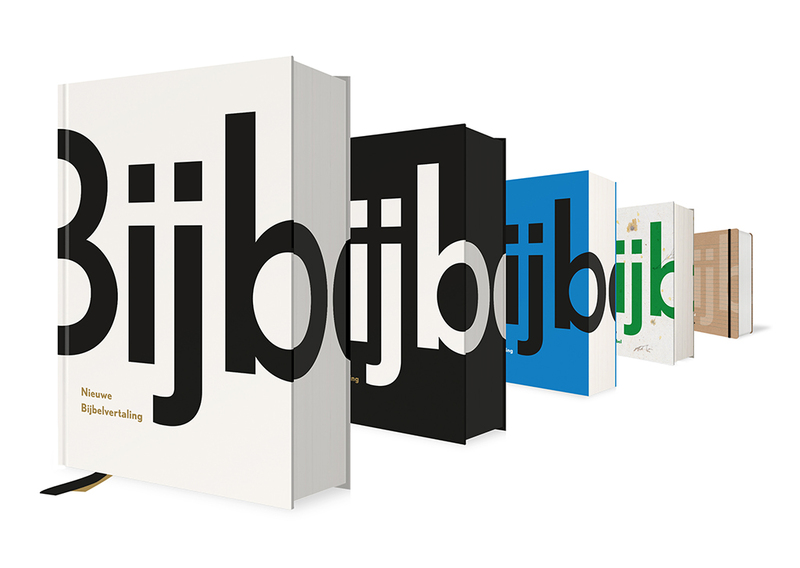 Studio Ron van Roon was asked to deliver a new design for the cover and the pages. 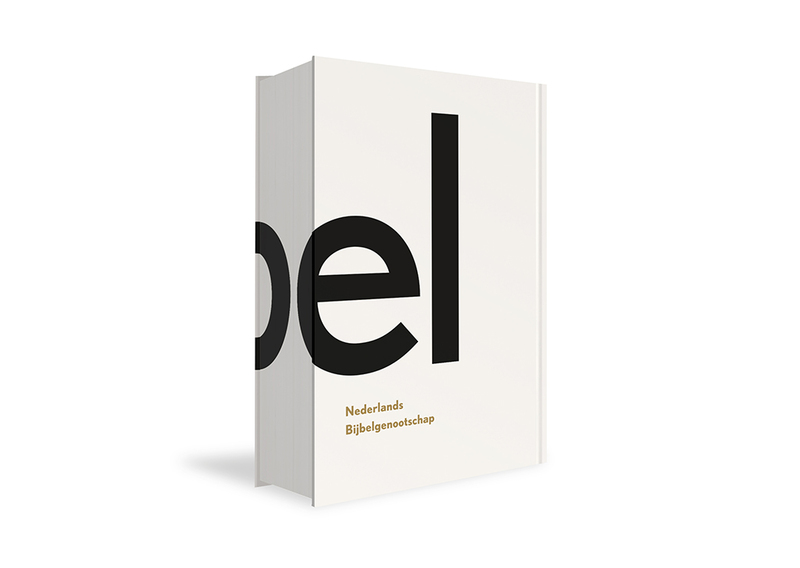 The starting point for the studio was the creation of a monumental and contemporary design. 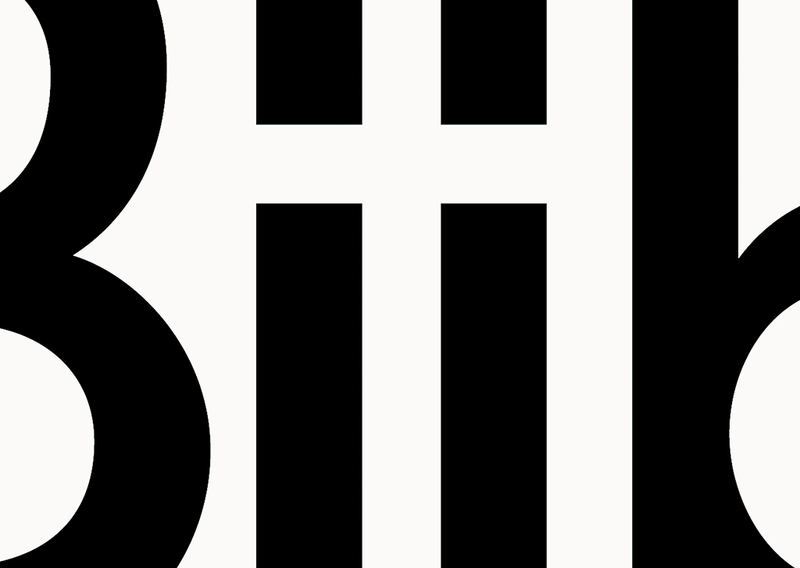 Sober and powerful in its simplicity. 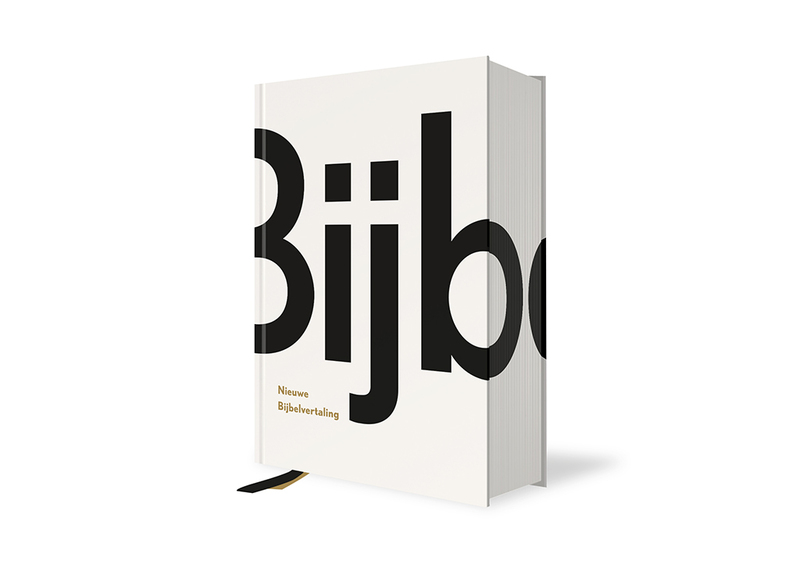 Bart Rouwhorst of Studio Ron van Roon designed the book and placed the Cross pontifically on the front. 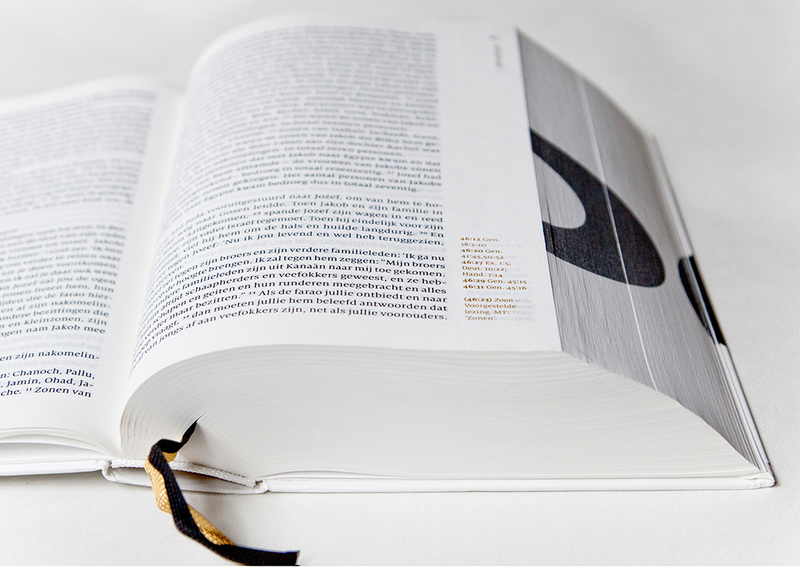 The title ‘Bible’ smoothly folds itself around it and runs via a silkscreen print on the section through to the back cover. 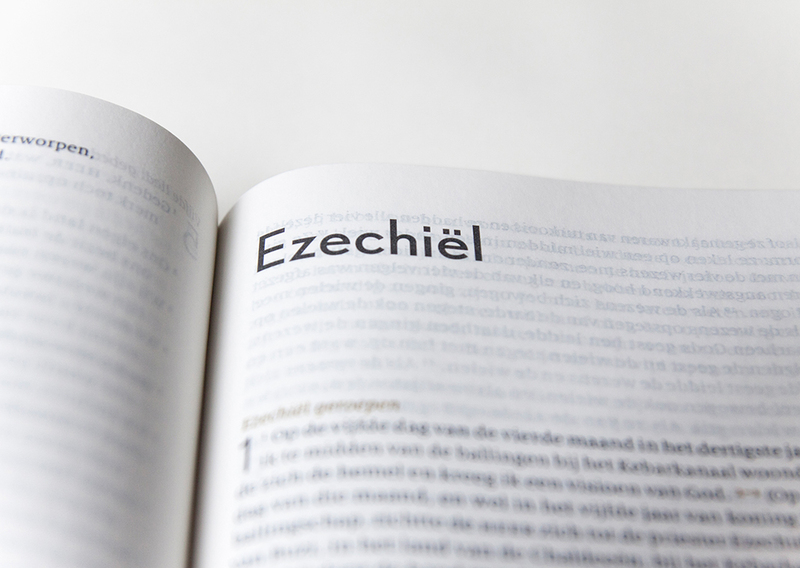 The interior of the Bible was designed with a similar brightness and set up in a 1-column formatting, in biblical concepts a quite revolutionary notion. 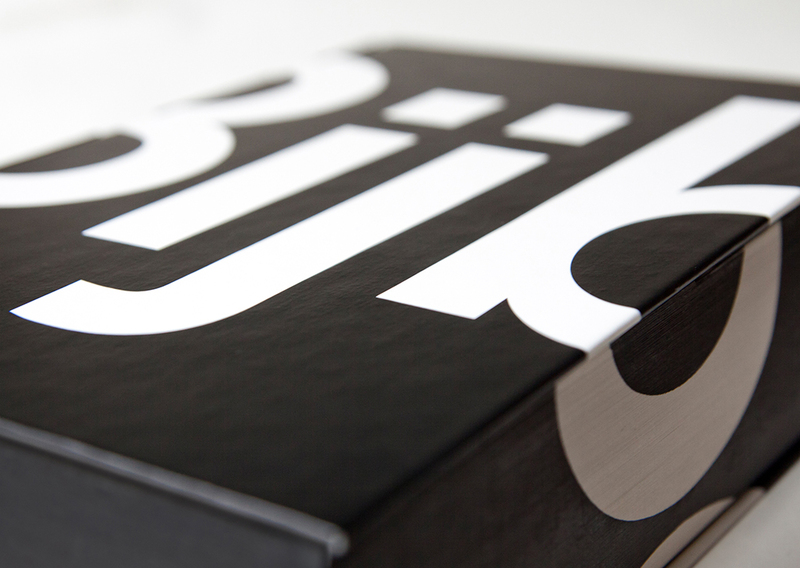 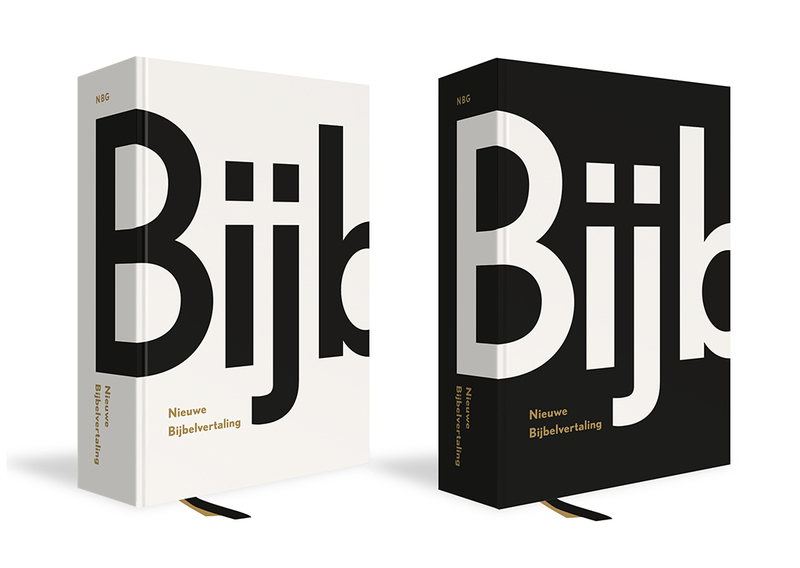 The text is set from the FF Milo combined with the sans serif Nobel that also adorns the cover. 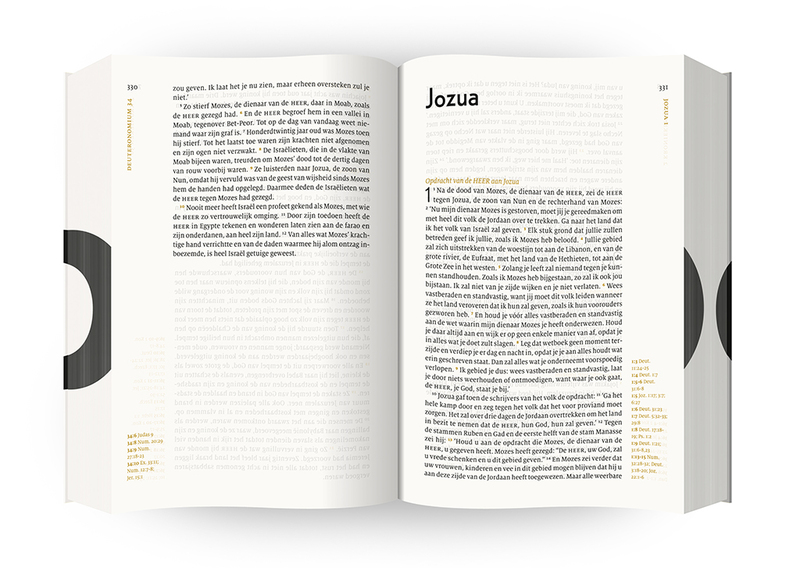 The cross connections and cross references were printed in a beautiful spot color. 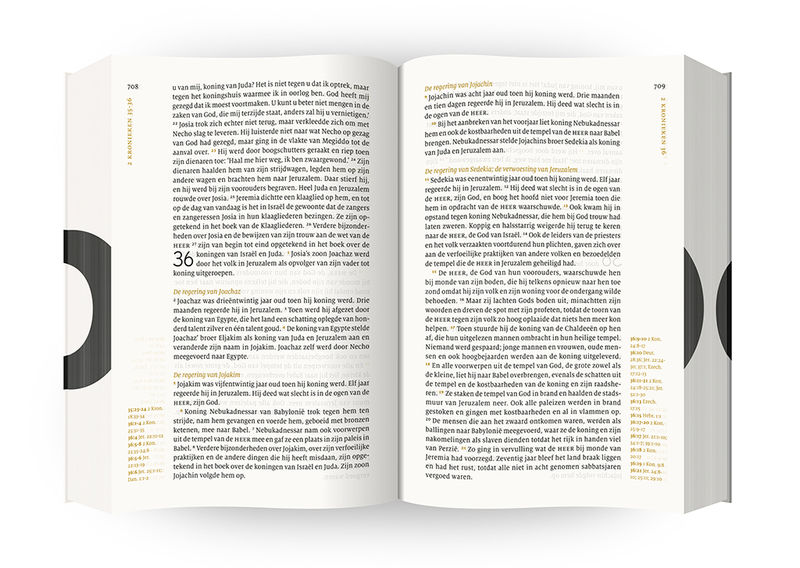 Along with the bound Standard Edition the design has also been applied to the paperback edition, the green Bible and the journaling Bible. 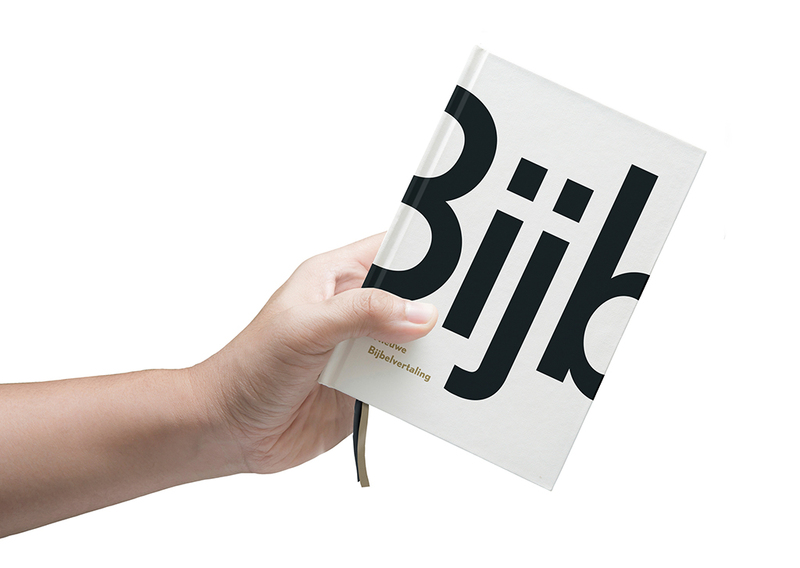 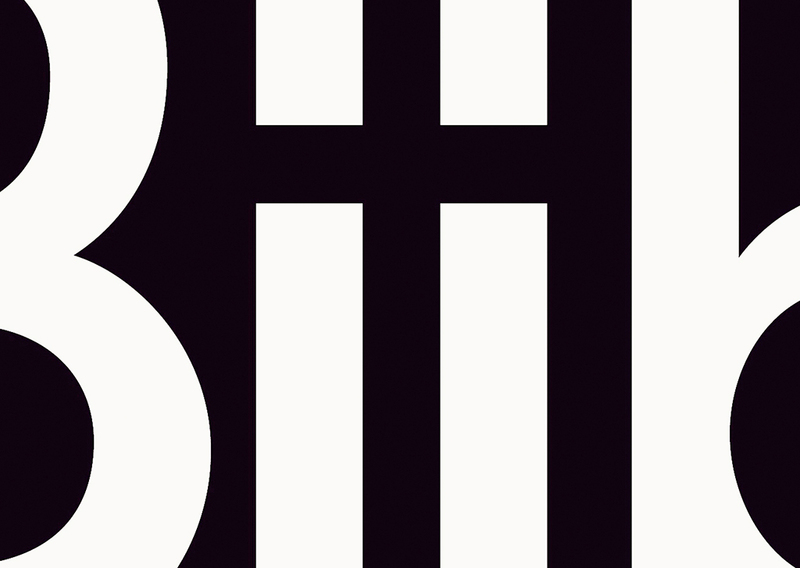 The design was recently awarded the Best Books Designs 2016.